Best Time to Travel to Vietnam Guide is here to help you get the correct information about temperature and rainfail in the North, Central, and South of Vietnam. Below we have listed the Temperature Averages for the different times of the year in Hanoi, Hoi An, and Ho Chi Minh City. We have listed the temperatures in both Celcius and Fahrenheit. You can check out all of these temperatures using the following links to find the best time to go to Vietnam for your vacation plans. Providing useful travel and weather information about the biggest city in Northern Vietnam. Southern Vietnams largest city, also known as Saigon has long dry winters and long wet summers. Check out the travel information to plan your perfect trip when travelling to Vietnam. Planning a beach vacation to Central Vietnam? Not before you read our detailed weather information for the best time to go to vietnam. We recommend the best time to travel to Vietnam to have the an exciting and sunny beach experience. Best Time to Go to Vietnam in January. Escaping countries who have a very cold winter has been a leading reason for travelling at the beginning of the year. While in our article below you will see that not all places in Vietnam are the best for traveling during January. Best Time to Go to Vietnam will highly depend on what you are doing in January but if you are looking for the beach and sunny vibes, we highly recommend staying to the south parts of Vietnam in January. Best Time to Go to Vietnam in January! What are the best Vietnam regions to visit in January? Best Time to Go to Vietnam in February. 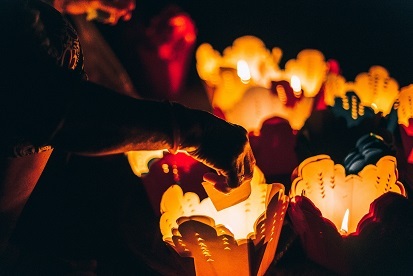 February is an interesting month as it is very popular for many travellers but this month will also coincide with Tet Holiday so we suggest travellers to check in advance what dates are the Lunar New Year before travelling to Vietnam in February. Best Time to Go to Vietnam in February! What are the best Vietnam regions to visit in February? When travelling during February we highly recommend checking out Southern Vietnam which will include the following list. Best Time to Go to Vietnam in March. March might be an excellent time to travel to Vietnam has many of the regions have begun to warmp up coming out of the cooler winter months of January and February. Although it is getting warmer, we still suggest that you may want to keep your vacation planned towards Southern and Central Vietnam for any beach vacations. 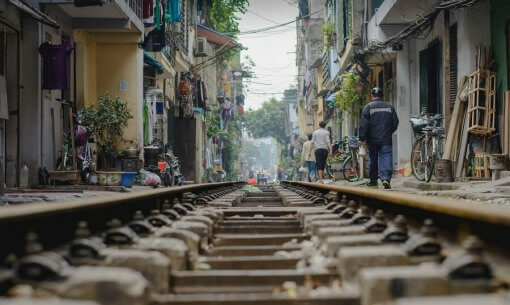 If you would like to spend some time up North to see the charm of a bit cooler time of the year, Hanoi and the surrounding area would be a nice place to travel if you bring some warmer clothes in your luggage! Best Time to Go to Vietnam in March! What are the best Vietnam regions to visit in March? Good time to Visit the following areas would be in March if you are open to experiencing a bit more cold. Best Time to Go to Vietnam in April. April is a great time to visit Vietnam and most everywhere in Vietnam will feature excellent weather. Some places in the South may begin to get a bit hot in the afternoons after April so we recommend travelling anywhere you want in April for any type of vacation. Best Time to Go to Vietnam in April! What are the best Vietnam regions to visit in April? Best Time to Go to Vietnam in May. Just like April, May is an excellent time to visit Vietnam. We even have a hint for the thriftier traveller! May is one of the best times during the year to travel on a budget. Airline prices and hotel prices may begin to lower in May all the way til the end of June. Best Time to Go to Vietnam in May! What are the best regions in Vietnam to visit in May? Best Time to Go to Vietnam in June. Visiting Vietnam in the summer especially in June can help you save a bit of money. We would want all travellers to be weary of planning June vacations that feature a large amount of time in the sun during the afternoons. This applies especially in the South of Vietnam. Southern Vietnam can start to become very wet at this time of the year as well, but beach vacations in Central Vietnam in June should be great. Best Time to Go to Vietnam in June! What are the best regions in Vietnam to visit in June? We will leave off travelling to the Mekong Delta during June and most summer months as it just begins to get very hot during the afternoons. July is a busy time for tourism and visiting Vietnam. This is by far the busiest month during the Summer months. If you are a social traveller and would love the chance to meet other world travellers during your Journey through Vietnam this would be a nice month to Visit. The only set back for travellers will be the raining season in southern Vietnam. 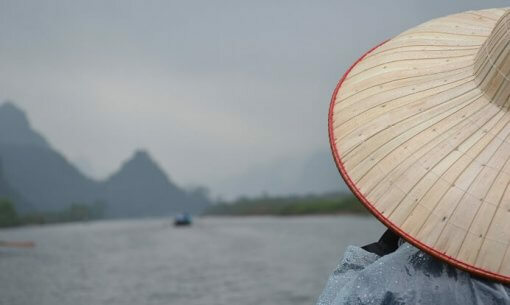 If you fear getting wet, then maybe avoid the South on your July visit to Vietnam. Best Time to Go to Vietnam in July! What are the best Vietnam regions to visit in July? We will leave avoid recommending travelling to the Mekong Delta during July and most summer months as it is very hot during the afternoons. August is a nice time to Visit Vietnam in general. The weather will still be very hot in most places in Vietnam including the North. If you are looking for some cooler weather, we would recommend holding off your vacation until the fall. Best Time to Go to Vietnam in August! What are the best Vietnam regions to visit in August? September and Late Summer is an intersting best time to visit Vietnam based on the region and type of vacation you are looking for. The central parts of Vietnam and the South will still be in there raining seasons but the temperatures begin to drop to comfortable levels especially in the North and Central parts of Vietnam. Also, this time of the year can be very very budget friendly to travellers when it comes to airlines and hotels. 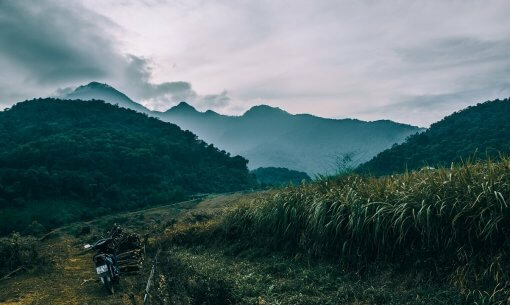 We say that towards this time of the year, you may be taking a chance on having a bit of rain during your vacation but, that might just be okay with many travellers coming to vietnam. Best Time to Go to Vietnam in August! What are the best Vietnam regions to visit in September? October is good month for travelling to Vietnam but can be a bit hit or miss for visiting central Vietnam. We would recommend that if a beach vacation is on your to do list that you stick to travelling to Southern Vietnam Beach Locations! If a little bit of rain never hurt anyone on the beach, then we recommend early October for Central Vietnam. The temperature throughout all of Vietnam will be comfortable at this point so don't hesitate booking a vacation. Best Time to Go to Vietnam in October! What are the best Vietnam regions to visit in October? November is a nice month to travel Vietnam for the North and South. 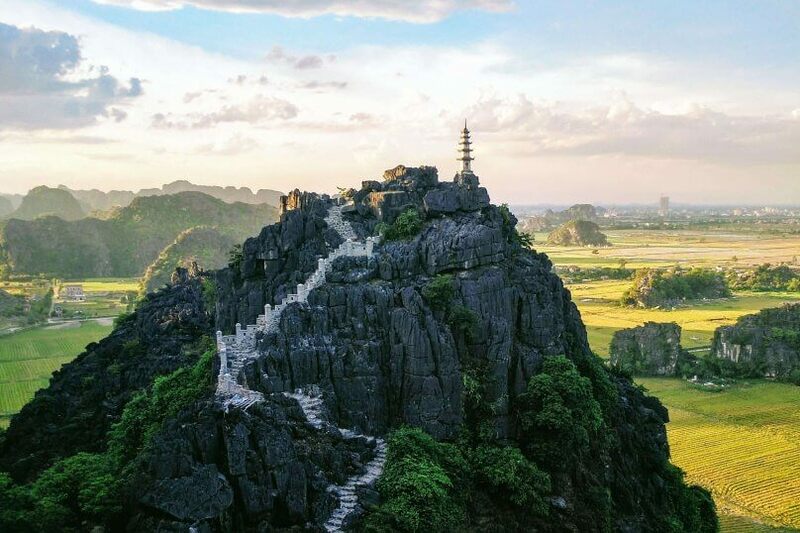 We do recommend avoiding Central Vietnam at this time of the year as Typhoon season can put a damper on any vacation. Best Time to Go to Vietnam in November! What are the best Vietnam regions to visit in November? December is one of the busiest months of the entire year for Vietnam travellers. So many people want to visit Vietnam during their work holidy and the new year. We would highly recommend a Southern Vietnam vacation if you are looking for some fun in the sun. The North of Vietnam can begin to get quite chilly at this point of the year especially at night. Best Time to Go to Vietnam in December! What are the best Vietnam regions to visit in December? If you are interested in Vietnam Food Tours then be sure to check out our Taste of Vietnam Saigon Food Tour, if you are looking to check out the Best Pho in Ho Chi Minh then ask about our private tours and chefs tours! Our Heartbeat of Ho Chi Minh City Saigon City Tour is a can't miss, if you want to learn more about Ho Chi Minh City after you have decided on the best time to go to Vietnam. Vietnam is a large country, this is one of the first things that you have to understand when planning your vacation to Vietnam. Over 1,000km in length makes the weather patterns of Vietnam very volatile year round. This does also mean, that during a vacation in Vietnam you will most likely be able to find some good weather during your trip here. So when the weather in Northern Vietnam is feeling wet and cold during the December months, the weather in Southern Vietnam is warm and sunny. This makes the best time to go to Vietnam a difficult question to answer. What we hope to do in this best time to go to Vietnam guide is to help you plan your vacation better by having a better understanding of what weather in certain parts of the country looks like year round. Does it Rain a lot in Vietnam? Before we jump in, we want to talk about understanding the unique rain patterns we receive in Vietnam. In Hanoi during March, it rains a higher amount of days than the rest of the year at an average of 22 total days. Naturally, we would assume that means the amount of rainfall should be relatively high in the month of March, which actually isn’t true. March in Hanoi has relatively low rainfall compared to the rest of the year. Vietnam features many days of rain, where we will experience short bursts of rain daily. This means 15-20 minutes of rain in the afternoon, which let me tell you, in southern Vietnam this is a blessing. When the weather app or website you are using says expect showers for the next 21 days in a row, this doesn’t mean we will see nothing but rain. Just at some point in the day, we will have a little bit of rain that is usually over quite quickly. What do these Rain Patterns mean for the best time to go to Vietnam? Personally, I wouldn’t worry about it too much. If you ABSOLUTELY must not have rain, then you can look below to find which time of the year features the least days of rain in the area you would like to visit. What is the best time to go to Vietnam, Hanoi? Hanoi Weather is described as Hot Wet Summer and a Cold Dry Winter. Rainy Season is from January to September and Dry Season from October to April. What is the best time to go to Vietnam, Hoi An? Hoi An or Central Vietnam vacations should have travellers the most concerned when booking a vacation that they want to avoid rain. Most people are going to flock to central Vietnam to spend mornings sun bathing at the beach and the afternoon walking around Hoi An’s Old Town. A day full of rain and wind could really cut a beach vacation short. Rainy Season in Central Vietnam is usually around September til early February. Which unfortunately coincides with the best humidity and temperature of the entire year in Hoi An. October til February is also the high season for tourism. Important Note, typhoon season is underway from October to December, which could mean flooding for Hoi An’s old town. If you are staying in Hoi An at this time, we recommend thinking about booking accomodations in the An Bang area of Hoi An. What does all this mean for the best time to travel to Vietnam , Hoi An? Our verdict for a beach vacation would be to try out Hoi An during the off season months, during the afternoon the temperature might be a bit hotter but you will have far less of a chance of having your beach vacation rained out. Southern Vietnam is a pretty safe and easy bet when it comes to predicting the weather. From May to October, we can expect hot weather with rain at least once a day. From November to April, it will be hot and dry. When should I not travel to Vietnam? Great Question! 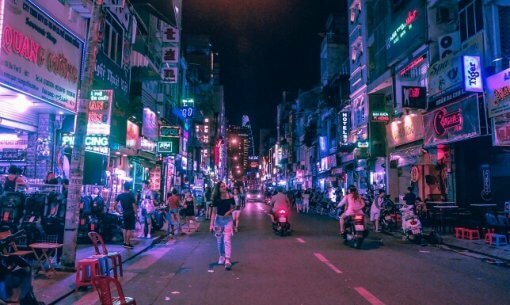 There is only one time of the year, every single year, that you should not travel to Vietnam or some other Asian countries if you are looking to get the most out of your trip. Chinese New Year or Tet Holiday is not a great time to come to Vietnam. This is the one time of year that everyone closes down shop for a minimum of 3 days, but plenty of great restaurants or activities will close for almost 2 weeks. 2019 Tet Holiday will fall on February 5th. 2020 Tet Holiday will fall on January 25th. So for example, if you were looking to come to Vietnam and try one of our world famous City Tours or Food Tours we will be closed February 3rd – February 9th.